Some products start off so strong that you're convinced you'll never find any flaws to them... but then things take a turn for the worse. 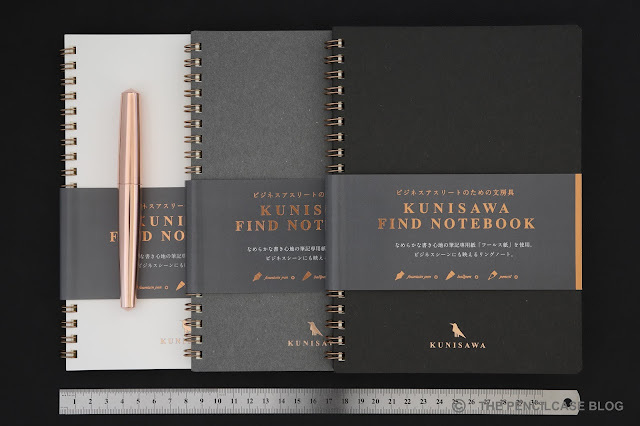 The Kunisawa Find notebook collection is one of those products. A pity really, because I was really quite was blown away by this extensive selection of Japanese stationery at first! It all started out as a love on first sight-situation. 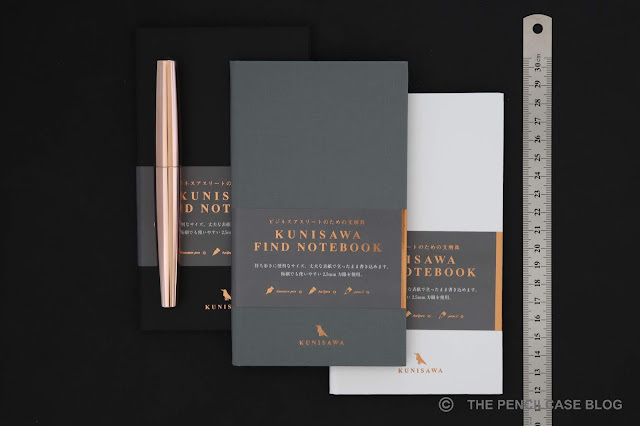 Everything from the design to the precise packaging of the Kunisawa Find products is what I've come to expect from Japanese stationery: minimal design, subtle colors, neat and precise manufacturing,... These have it all. 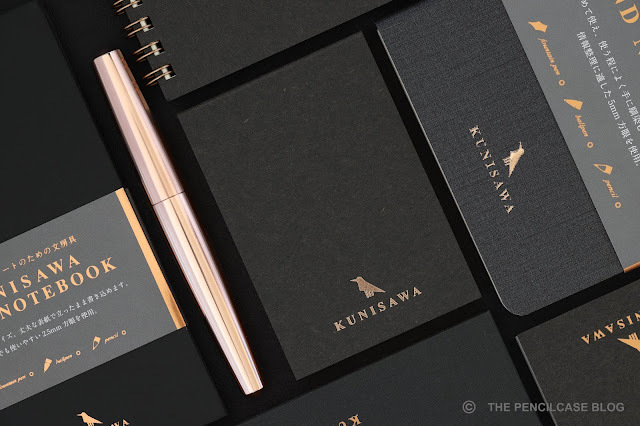 The aesthetic is focused around a business-y monochrome black-grey-white color scheme (with a few exceptions of brown and blue here and there) that are offset by copper accents such as the hot-foiled logo and gilded edges. 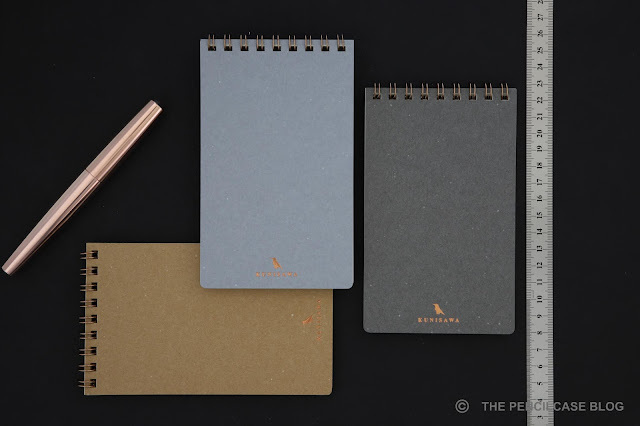 The result is a stylish and varied set of notebooks, reporter pads, sticky notes,... 'plain' enough to be used in a professional environment, but with a distinct touch that sets them apart from the rest. One small detail about the design that I particularly enjoy, is that they use different cover materials for their different products. 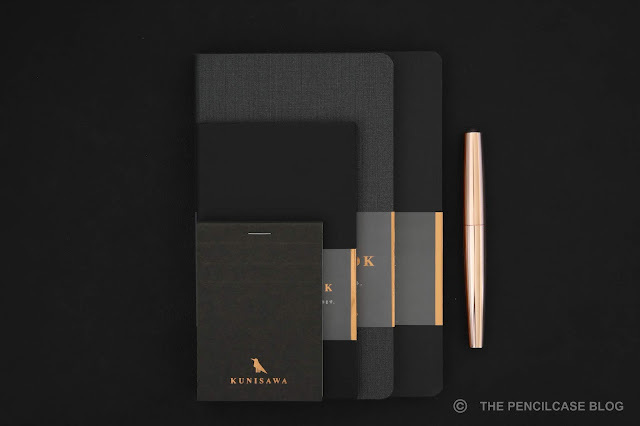 The hardcover notebooks have plastic covers with different textured finishes, while the ring-bound books are made with cardboard and the 'Soft' notebook has a textured PU foam cover -all of them in matching colorways of course. The variety in materials gives each product its own look and feel. 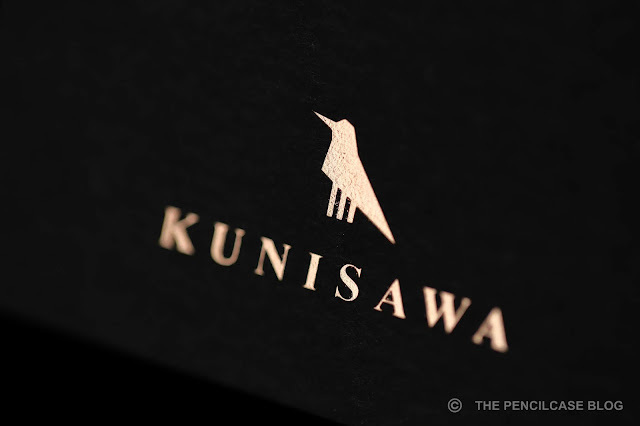 The logo represents the three-legged crow 'Yatagarasu', a Japanese mythical creature representing the god of guidance. Find Sticky Memo. A7 size with 80 adhesive sheets, blank. Find Block Memo. A7 size with 80 sheets, 2.5mm grid ruled. 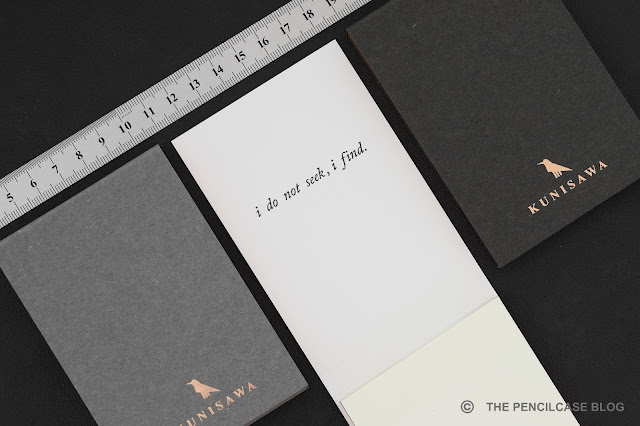 Find Pocket Note. Spiral-bound hardcover notepad, 9x15cm. 50 sheets (100 pages), 5mm grid ruled. Find Smart Note. 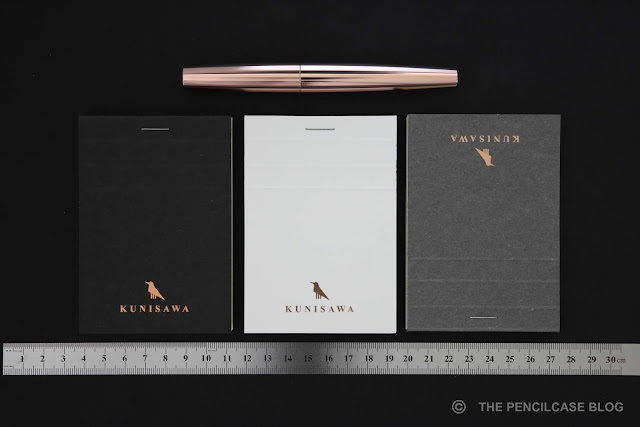 A compact and slim hardcover notebook. 9x17 cm with 40 sheets (80pages) and gilt edges, 2.5mm grid ruled. Lays open completely flat. Find Soft Note. A 12x21 cm softcover with flexible PU cover (very flexible!). 96 sheets (192 pages), 5mm grid ruled. Doesn't lay open flat because of the more flexible spine. Find Slim Note. A thin A5 softcover notebook. 40 Sheets (80 pages) with gilt edges, 5mm grid ruled. Lays open almost completely flat. Find Ring Note. A5 spiral-bound softcover. 80 Sheets (160 pages), 5mm grid ruled. Find Hard Note. Semi-hardcover A5 bound notebook. 96 Sheets (192 pages) with gilt edges, 5mm grid ruled. Lays open almost completely flat. 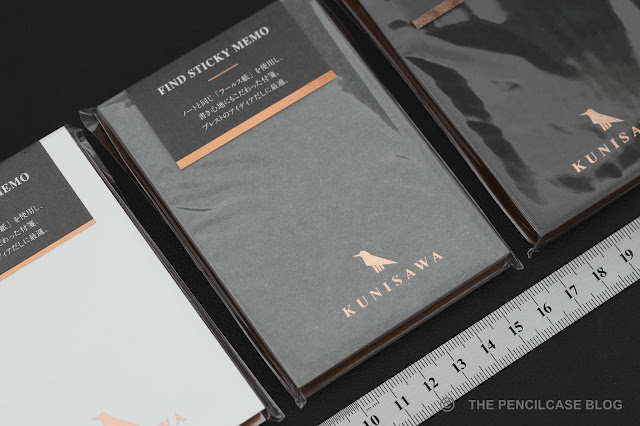 Functionally, all Kunisawa products follow a very minimalist approach, similar to other Japanese notebooks. All Find notebooks are as barebones as it gets: no numbered pages, no page marker, no elastic closure or back pocket. The only exceptions are the Find Note Soft and Find Note Hard, which come with a thin grey page marker ribbon. 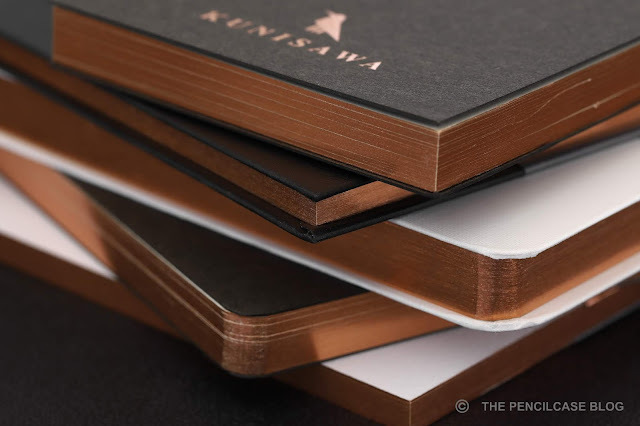 If you like your notebooks quite feature-packed, Kunisawa is likely not the brand for you. Up until this point, I have absolutely zero complaints. I can live without numbered pages or a bookmark, but I expect to find decent paper on the inside. Unfortunately, that's an area where Kunisawa couldn't always live up to my (high) expectations. 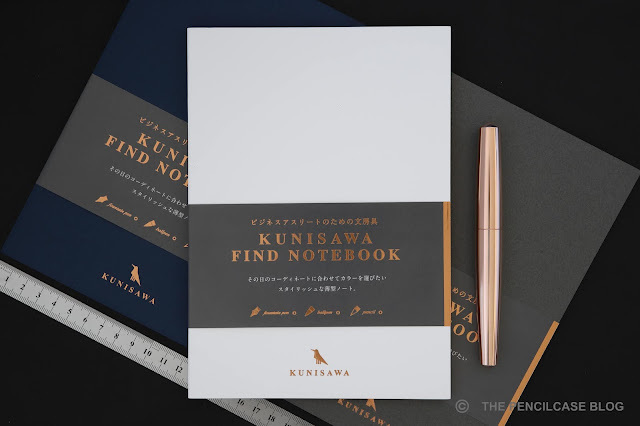 All Find stationery utilizes the exact same 'Foolscap' paper (The term Foolscap most likely got lost in translation at some point as it's not a brand name, but rather a type and size of letter paper). The cream-colored paper seems to be around 80 gsm in weight (I couldn't find any actual specs to back this up). It's relatively smooth but not glassy smooth, so it's also suitable for use with pencil. 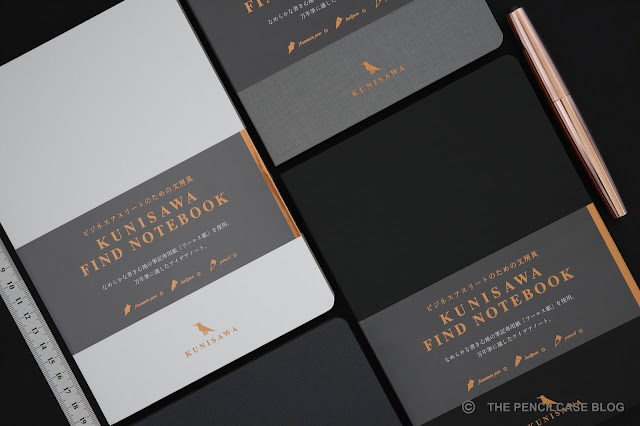 All Find notebooks come with 5mm grid paper, except the Find Block Memo and Smart Note, which have a tiny 2.5mm grid. I wasn't so sure if a grid this small would be usable, but in practice it's really quite enjoyable to write on and I found that my writing would naturally fit inside the ruling. The light grey grid is noticeable, but not too obtrusive in my opinion. Good vs Bad. Nice crisp lines on the left, feathering and a flat, bland line on the right. Good vs Bad. Little to no bleedthrough on the left, quite severe bleedthrough on the right. Excellent shading and sheen on the left. On the right is one of the 'mediochre' samples which shows little to no sheen but still shows decent shading. 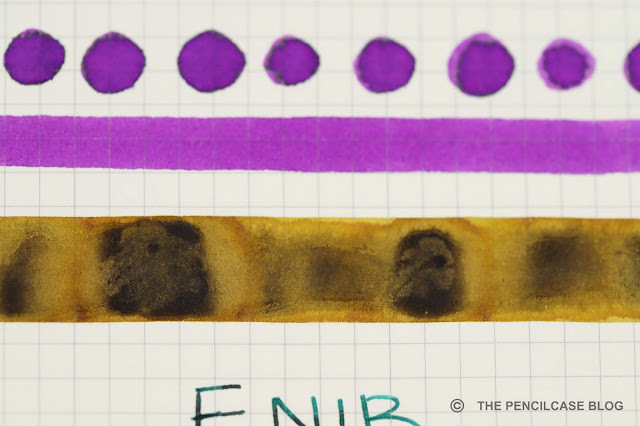 Very interesting shading/oxidation effect of Platinum Classic Citrus Black ink swab. This is one of the good paper samples. As you can probably tell from the photos above, the problem is that -despite all using the same paper- they don't all perform equally well. I tested each different product with various fountain pens, cotton swabs, dip nibs,... and some performed absolutely perfect (zero feathering, almost no bleedthrough and ink dried crisply with nice shading and sheen), where others couldn't hold up to fountain pen use. Kunisawa sent samples to a couple different reviewers, and paper quality results seemed to be completely random throughout their product lineup. I'm fairly convinced that it's not a matter of bad paper choice (some samples I tested were legitimately excellent), but rather poor (or lack of) quality control that allowed a faulty batch of paper to slip through the net and get spread across different products. I emailed back and forth with Kunisawa about the paper issues and they in turn communicated it with their paper manufacturer. They acknowledged the issue and seemed to be working to fix it. "I do not seek, I find." As it stands now, It's difficult to recommend any of the Kunisawa Find products, since there is no way of knowing which ones will perform well and which ones won't. 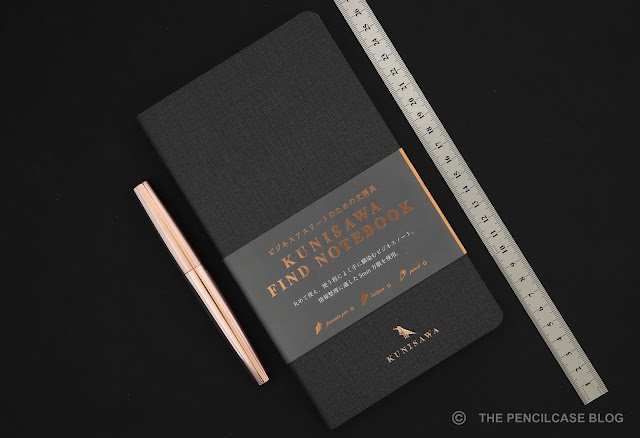 Especially at their rather premium price point (up to 27$ for the A5 Find Note Hard notebook), there's no room for error. Kunisawa is a promising brand that I'll certainly keep an eye on. Their design philosophy and build quality is already on point, but I really hope they can fix the inconsistency in paper quality. Some of the products I tested had downright excellent paper, so I'd be all on board if they could provide that kind of quality across the board. This product was sent to me by Kunisawa so I could write this review. I was in no way influenced in the making of this review, the opinions shared in this review are completely my own! This post does not contain affiliate links. Good paper left, bad paper right.